Is your business on the web or are you contemplating an online presence for your business? Studies have shown that more and more prospective buyers are searching the internet before they visit your business or attempt to contact you via phone or email. No company can afford to be ‘offline’ any longer. When considering a hosting company for a new online requirement or project, or if you are looking to replace your current host, there are many key factors that constitute the make-up of each hosting company. As with most things in the world, vast differences in quality can translate into a myriad of choices for your prospective hosting company. With over 5000 hosting companies around the world, and new ones coming on the scene daily, it can be a daunting task to select the ‘right’ hosting company for your particular needs. Here are the key differentiators that one should consider when looking for a new hosting company. By asking the right questions before you engage a new hosting provider, you can make a more informed decision and avoid costly downtime in the future. After all, downtime is a websites worst enemy. In general, the two most important factors for websites are speed and availability. The third critical component to be considered is technical support from the hosting company and what options the company offers. By combining these three components, when weighing various offers from prospective hosting providers, you can be sure that you have compared the quality of the various companies for the best hosting value for your requirements. In order to provide a stable platform, a hosting company must invest in their network and technical infrastructure in order to provide redundancy, robustness and pure speed for their clients’ online requirements. The network is what connects a dedicated server or cloud environment to the internet allowing your web visitors to access your application or website that resides on your server or cloud. Many hosting companies will include statistics on their ‘uptime’ as far as the network is concerned. 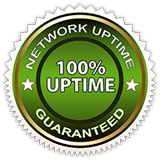 Any company that lists a 100% network uptime should be considered as a viable option, assuming that they meet the other important criteria as mentioned before. If there is an SLA (Service Level Agreement) that guarantees this uptime as well, even better, because an SLA usually guarantees the availability of service, with very specific criteria in the event of a failure. Understanding the prospective hosting company’s network setup will ensure that you are dealing with a reputable and reliable organization. The network uptime (usually expressed in percentages) can assist in determining the quality of the infrastructure of the hosting company. How they engineered the network (redundancy, robustness and speed) will determine the availability and the reliability of the hosting company. 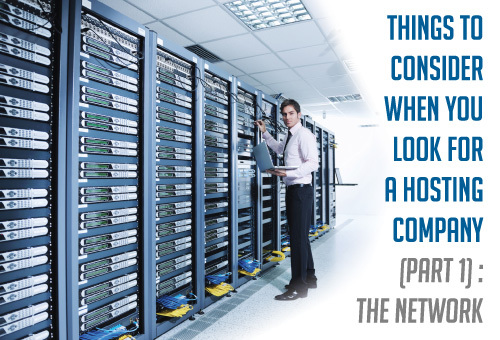 The closer to 100% uptime a host can provide, the better, as the network is what connects your dedicated server or cloud server to the internet. As the network infrastructure will be different for each hosting company, redundancy and availability will be different from one host to another and can affect the time their network will be available for your server or cloud environment. A 99.999% network uptime will have a cumulative downtime of 5:15 minutes per year, 99.99% will have 52:35 minutes per year, 99.9% 8:45.56 hours per year. Needless to say that network uptime of 100% is an assurance that the hosting company is willing to commit to providing a redundant and quality network for its clients. 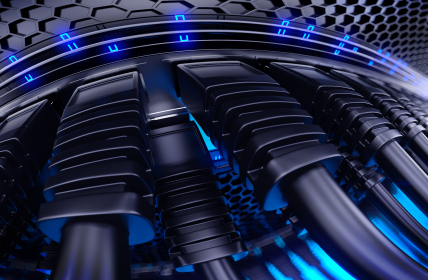 The quality of bandwidth is another key component in a hosting company’s offering. 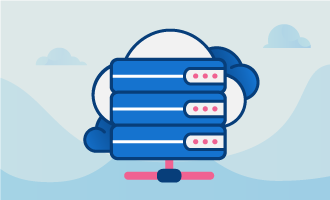 When a hosting company includes premium bandwidth in its mix of providers, the speed and reliability of all the servers connected to the hosting company’s network benefit from that speed and reliability. These benefits translate into websites that display faster, have no packet loss and generally perform better than those that are connected via lower quality bandwidth providers. While the actual quality of the bandwidth is of critical importance to the performance of your server, a host that uses only premium bandwidth is a hosting company that puts performance and quality ahead of price. In such a competitive marketplace, even a few dollars difference per month can yield incredibly superior results for your dedicated server running your website or web-based application. Ensure that your prospective hosting company uses only premium bandwidth in its mix to ensure top performance and excellent reliability. Many hosting companies use an internet standard BGP (Border Gateway Protocol) to control how each packet of data is routed to the end user. These packets are what carry the information that is displayed on your users’ computer or other device (smartphone, tablet, etc.). The faster these packets arrive at their destination, the more responsive your website or application will be perceived, and your users’ experience will likely be enhanced. These packets must travel from your server to your user, and sometimes these packets must travel great physical distances, and will be routed over many networks (also known as ‘hops’) in order to arrive at your users screen. BGP uses a simple formula to determine the ‘best’ route and BGP simply counts the number of hops to determine that route. However, other factors may be equally or more important than the simple number of networks (or hops) that a packet must travel. For this reason, new technologies have emerged that optimise the route based on other factors such as latency, congestion, packet loss and others to ensure that the route is actually the fastest based on actual performance, and not just the lowest number of hops. As is the case with premium bandwidth, a hosting company that provides optimized routing is a hosting company that truly is focussed on delivering the best performance to its clients. Ask your prospective hosting if they use optimized routing. Next week, we will cover more important factors to consider when looking for your hosting company. The article will be posted on tuesday, june 17th 2014. Don’t hesitate to leave your comment ! **UPDATE** : As promised, here’s the second part of the article which is mostly covering things about the company you’re choosing.